Whether developers want to build mobile device apps for Android or web-based or desktop-based applications with the core Java SDK from Oracle, they must contend with the fact that many dynamic applications need to integrate data from a relational database. 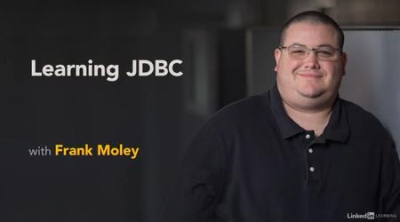 In this course, Frank Moley helps you get up to speed with the Java Database Connectivity (JDBC) API, showing how to use it to read and manage data from relational databases such as Postgres, Oracle Database, MySQL, and SQL Server in applications programmed with Java. Frank begins by going over key JDBC terminology, the basics of configuring a PostgreSQL database, and how to create the course project. He then provides detailed instructions on how to select and update data, work with transactions, handle exceptions, and more.